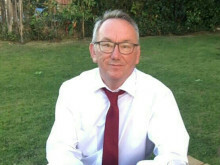 Council house tenants and applicants are the first in Moray to benefit from the council’s ‘Moray Connected’ programme – and are taking full advantage of being able to manage their services online 24/7. 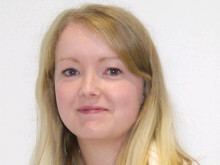 The Moray Connected team spent the second half of 2015 working with the housing service to create online services for customers, with a number going ‘live’ during January. Applicants receiving housing offers by email, and being able to accept a property immediately. Beforehand, an applicant would receive a letter from the housing service and have to post a response back, often a minimum turnaround of a week. Now they can accept or reject a property instantly. Tenants will receive an automated reminder text if they have forgotten to pay their rent, to prevent them falling into arrears. Beforehand, a housing officer would have to type out a text manually, post a letter or make a phone call. 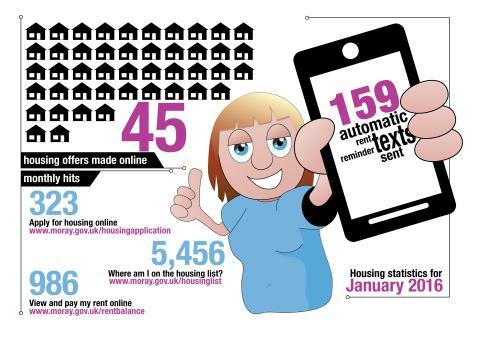 Applicants can apply for council housing online 24/7 via apply4homes.co.uk. Applicants can view their position on the housing list simply by entering their application reference number. Again, they can do this 24/7, without having to visit a council access point or ring the contact centre. Tenants can view and pay their rent balance online, and set up a repayment plan if they are in arrears. Making the most of technology to create an efficient service for our tenants helps Moray Council keep rents low – they’re currently among the lowest in Scotland despite the recent 5% increase. or tell the team what council services you’d like online by emailing connected@moray.gov.uk.